Use my Excel Addin Folder Path Locator file. To manually locate the default Excel AddIns folder, follow the steps below. Click the Developer tab on the Excel Ribbon. If it isn't visible, follow the steps here. In the Add-Ins window, select any add-in in the list, and click the Browse button. That will open the Browse window, at the AddIns folder. Right-click on the path at the top of the Browse window, and click "Copy Address as Text"
Click Cancel, to close the Add-Ins window. Download a copy of my Excel Addin Folder Path Locator file. Click the Show Addins Folder Location button. Windows Explorer will open, and will show the contents of the Addins Folder. In Windows Explorer, open the Microsoft Addins folder on your computer. NOTE: If you aren't sure of the location, you can use the Excel Addin Folder Path file to find it. Save the add-in file in your Microsoft Addins folder. If the following warning appears, click the Unblock box, to add a check mark -- "This file came from another computer and might be blocked to help protect this computer"
In the Add-in dialog box, add a check mark to add-in's name. A new tab for the add-in might appear on the Ribbon, or a new command might appear on one of the existing tabs -- check the add-in notes, for help in locating it. 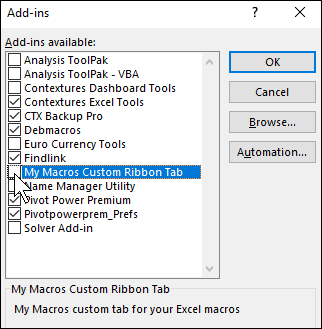 If you don't see a button on the Ribbon, you can add icons to the Quick Access Toolbar, to run the macros. 2016-Jul - 28: After a recent Microsoft update, some Excel add-ins (mine and others) are not loading correctly, and their custom tabs don't appear on the Excel Ribbon. Follow the steps below, to unblock the file, and it should open correctly. Open Windows Explorer, and open the folder where you stored the add-in file, usually the Microsoft Addins folder. NOTE: If you aren't sure of the Addins folder location, you can use the Excel Addin Folder Path file to find it. Then, close Excel again. 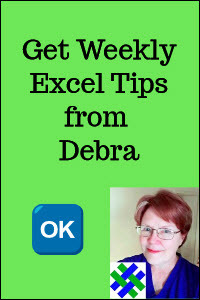 I use a few free add-ins that make Excel even better, and asked other people what free add-ins they use, and would recommend. I compiled a list, starting with my favourites. Maybe you'll see a few that you can download and install, and make working in Excel a bit easier. Click here to see my list of recommended free add-ins. 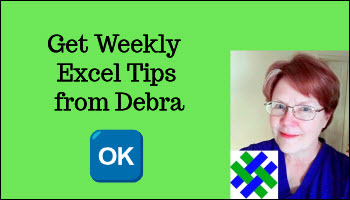 To remove an Excel add-in that you stored in the Addins folder, follow these steps. If the Developer tab is showing on your Excel Ribbon, click that, then click the Excel Add-ins command. OR, click the File tab, then click Options, and click the Add-Ins category. Next, click OK, to close the Add-ins window. Delete the add-in file, or move it to a different folder, so it won't open automatically, when Excel starts. Restart Excel, and the add-in will no longer appear.